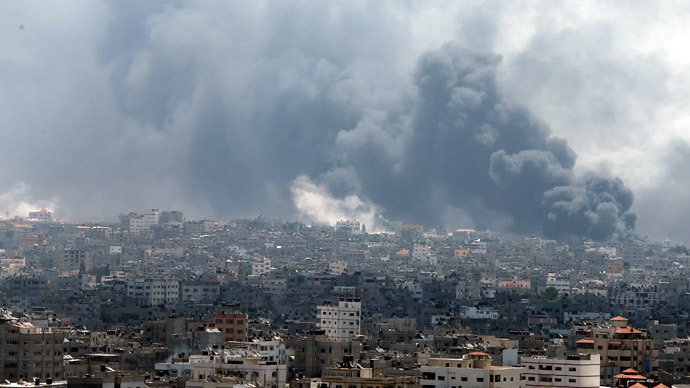 An Israeli human rights group has accused the IDF of war crimes during last year’s Gaza invasion by launching airstrikes that intentionally targeted residential areas, killing women and children, while claiming that Hamas was hiding behind civilians. 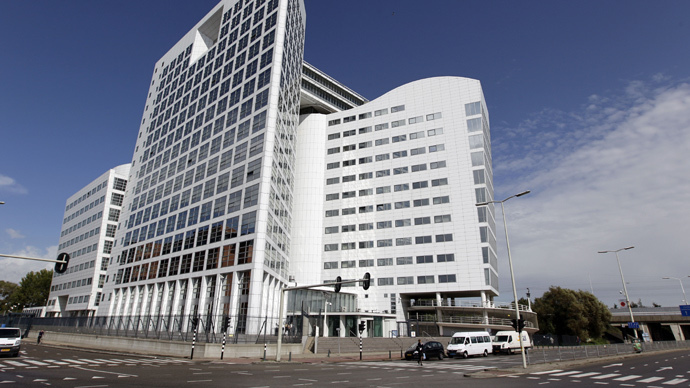 As prosecutors at the International Criminal Court in The Hague are conducting a preliminary inquiry into possible war crimes committed by Israel in the Palestinian territories, the 49-page report by B'Tselem human rights group claims the allegations are true. 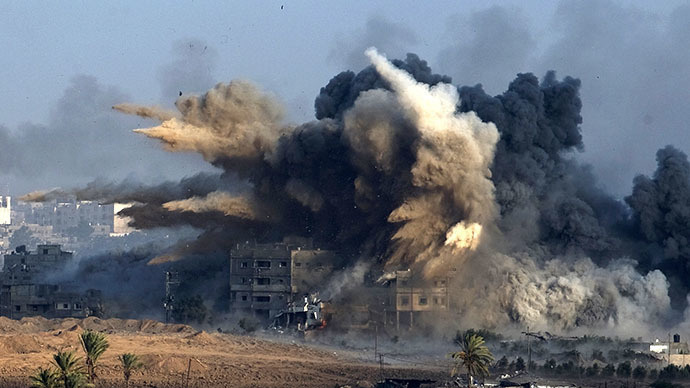 ‘Black Flag: The legal and moral implications of the policy of attacking residential buildings in the Gaza Strip, summer 2014’ is the first major report on the Israel-Gaza 50-day conflict written by an Israeli rights group. The report is based on research into 70 Israeli airstrikes in Gaza that affected residential buildings, killing 606 Palestinians in their homes, most of them evidently non-combatants: children, women and elderly men. About 70 percent of the victims were either under 18 or over 60 years old. 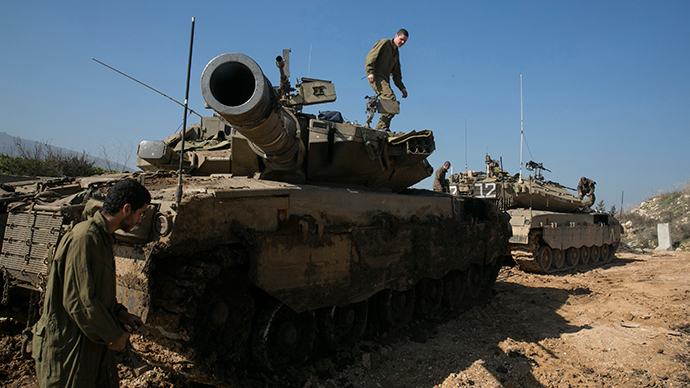 Like during previous conflicts with the Palestinian military group Hamas, Israeli officials have insisted that the Israel Defense Force (IDF) operated strictly according to international law. Casualties among the civilian population can be explained by the fact that Hamas fighters use their compatriots as human shields, placing “command and control centers” within residential buildings and bringing families to live inside “terrorist infrastructure” facilities, the officials say. 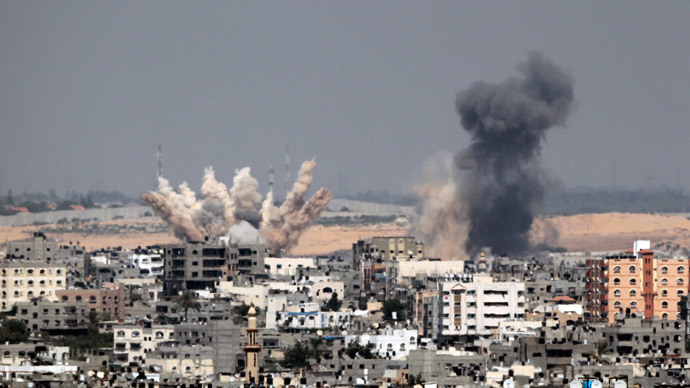 “It is true that Hamas and other organizations operating in the Gaza Strip do not abide by international humanitarian law,” the report acknowledged, not questioning the fact that Hamas does use civilian centers to stage rocket attacks on Israeli territory. Yet the fact that Tel Aviv tends to put blame for all Palestinian civilian deaths on Hamas, makes the IDF totally unaccountable for its activities, with “no restrictions whatsoever on Israeli action...no matter how horrifying the consequences,” the report said. “This policy is unlawful through and through,” the report says. 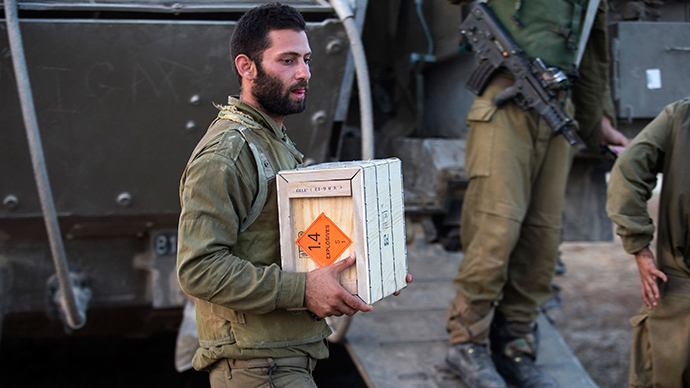 The concept of “collateral damage,” however legal it might seem during warfare, has been exploited by the IDF to the extreme, the report claims. “Even if the leaders of the state and the army believed that implementing this policy would bring about the cessation of firing on Israeli communities, it should not have been implemented because of the expected and horrific consequences,” the report says. B'Tselem, which receives donations through the New Israel Fund, is generally associated with the Israeli left and focuses on human rights in Gaza and the West Bank. 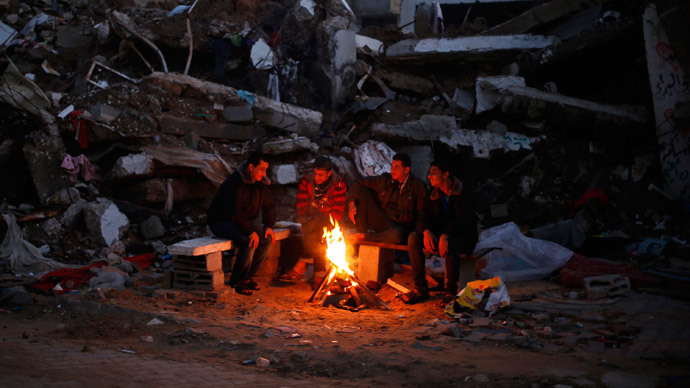 The group’s research chief, Yael Stein, insists that the deaths of Palestinian civilians were by no means accidental, as the airstrikes against residential quarters continued all the way through the operation in Gaza. “You can't maybe [know] on the first day or the second day. But on the 10th day or the 20th day, when you see how many civilians are getting killed...these attacks shouldn't have happened,” Stein said. 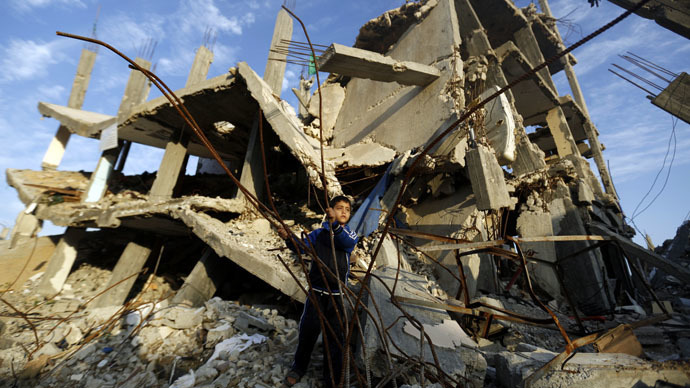 In December, human rights group Amnesty International accused Israel of the unjustified destruction of civilian buildings in Gaza during the conflict, branding it a symbolic form of “collective punishment.” Israel claims the buildings served as Hamas bases. The report by B'Tselem is the third major human rights inquiry into the conflict in Gaza, after reports by Amnesty International and Physicians for Human Rights-Israel. The Monitor, another Israeli NGO, claims that the report by B'Tselem is based only on testimony from residents who personally witnessed the airstrikes and data from the Hamas-run Gazan Health Ministry, a source not trusted by most Israelis. "Once again, and regardless of the circumstances and available evidence, B'Tselem has contorted the facts in order to pronounce Israel guilty. Contrary to such claims, Hamas is morally and legally responsible for civilian deaths in Gaza,” Monitor's legal adviser Anne Herzberg commented on the report.